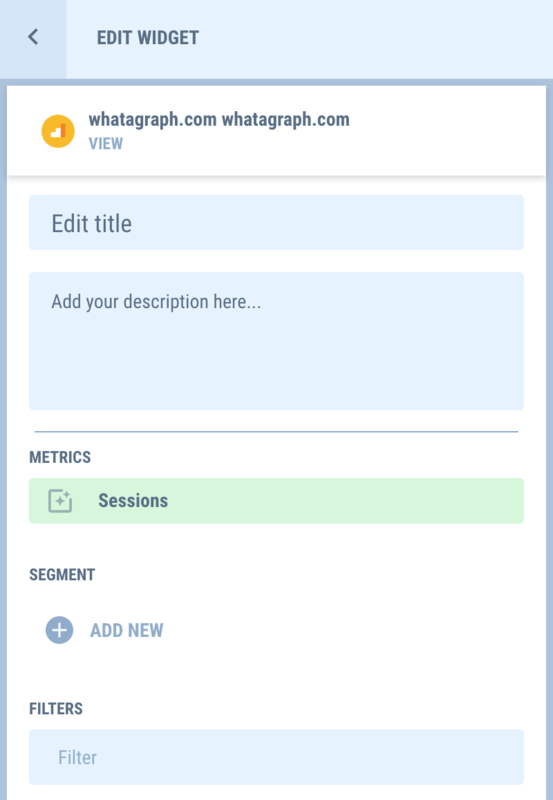 Using Studio widgets you have the ability to create own widgets by selecting a type of graph to show and by assigning a metric to it, straight from the API library. So if there is a widget you cannot find, you can build it yourself. Here's how. To access Studio widgets, click on the magic wand icon in your report builder. 2. Select a type of graph and drag it over to the report. 3. Click on the widget to open the settings bar. Here you can add widget title, description and assign metrics and/or dimensions. 🔸Add filters to your data. 4. When you are happy with the widget, you can easily save it to your widget library. Saved widget can be found under 'Team widgets' tag in your widget library.